This classic art reference shows artists how to handle materials safely while practicing their craft. Dozens of at-a-glance tables and charts present vital information about art materials, ingredients, technical hazards, proper protective equipment, and safe work practices simply and accurately. This brand-new third edition is now completely revised and expanded to detail lifesaving new safety and ventilation equipment, present urgent new discoveries on toxins and pollutants found in arts and crafts materials, and explain the controversies surrounding new government regulations. A virtual lifesaver for all art and craft workers. The KidCo Natural Feeding System is a comprehensive, 3- step system to making healthy, natural baby food. It combines a how-to guide and the kitchen tools necessary to create a foundation for long term, healthy eating habits. The Kidco BabySteps Guide is a handbook that shows parents the proper cooking methods and has age appropriate foods and serving sizes. The Kidco Food Mill is also part of the KidCo Natural Feeding System. The Food Mill has a strainer and four oz. serving cup. An Electric Food Mill from KidCo is also part of the Natural Feeding System has a non-skid bottom and a 2 cup bowl. Freezer Trays have seven sections in each tray that allow the preparation of bulk servings. The KidCo Natural Feeding System also has the Feeding Dish which is a unique feeding dish that offers convenience and flexibility for feeding meals both at home and away. I steamed/cooked it all then I just throw in whatever sounds like I would be good together… no seasonings, oil, butter, etc. I do use breastmilk to thin it out some… you could also use formula/water. 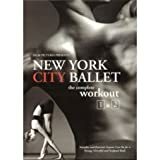 A deluxe edition DVD set comprised of the best-selling fitness videos New York City Ballet Workout Volume 1 and 2. The videos are designed to help you develop the strength, grace and poise of a dancer. 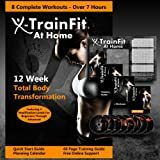 An excellent alternative to fast paced, high-energy workout routines, this unique exercise program balances art, life and fitness into the perfect workout for any age or fitness level. Whether you love ballet or are simply searching for an alternative workout regimen designed to produce a strong, graceful body, this program will deliver exceptional results. Whether you have heart-health problems now or want to avoid having them in the future, keeping your sodium intake low is one of the best ways to help your heart. In this revised and expanded fourth edition of the American Heart Association Low-Salt Cookbook, the association shows that a low-sodium diet can be not only good for your health but also full of flavor. Including everything from appetizers and soups to entrées and desserts, American Heart Association Low-Salt Cookbook, 4th Edition, offers more than 200 delicious low-sodium recipes—more than 50 of them brand-new to this edition. Whether you are in the mood for a beloved classic or a new favorite, you will find just the dish to please your palate. Looking for a less salty snack? Try Baked Veggie Chips served with Hot and Smoky Chipotle-Garlic Dip. Craving something hearty and full of flavor? Slow-Cooker Moroccan Chicken with Orange Couscous is an ideal low-sodium fix-it-and-forget-it meal. For a Sunday-night family dinner, try Three-Cheese Lasagna with Swiss Chard. And for your sweet tooth? Whip up Peach and Blueberry Cobbler or Rice Pudding with Caramelized Bananas for a special treat. With this book in hand, you’ll be armed with nutrition numbers for every recipe and the latest American Heart Association dietary information, as well as the how-tos for avoiding hidden sodium, shopping smart, and using healthy cooking techniques. You’ll also find useful resources such as a sodium tracker, a no-sodium seasoning guide, a list of common high-sodium foods, ingredient substitutions, and serving suggestions for each of the food groups. 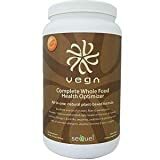 Citing health concerns as the number one reason that people adopt a vegetarian diet, this collection makes important scientific connections between good health and vegetarianism. “The Complete Vegetarian” examines the diet’s impact on chronic diseases and serves as a nutritional guide and meal-planning resource. Leading vegetarian nutritionists and medical doctors devote entire chapters to nutritional aspects that include fats, protein, and fibre; to diseases such as diabetes, cancer, heart disease, and high blood pressure; and to vegetarian meal planning, including specialized diets for children, pregnant women, and athletes. The contributors’ cutting-edge research finds that it is not only an absence of meat that accounts for the health effects of a vegetarian diet; other contributing factors include less saturated fat and more fibre, antioxidants, and unsaturated fats than other diets. “The Complete Vegetarian” promises to be an essential resource for health professionals and the growing number of people who have adopted or are thinking about adopting a vegetarian lifestyle. Contributors include John J. B. Anderson, Dina Aronson, Peggy Carlson, James Craner, Brenda Davis, Simon K. Emms, Jeanene Fogli, Suzanne Havala Hobbs, Michael A. Klaper, Erin L. Kraker, Valerie Kurtzhalts, D. Enette Larson-Meyer, Reed Mangels, Carol M. Meerschaert, Virginia Messina, Mary Helen Niemeyer, Carl V. Phillips, Sudha Raj and Cheryl Sullivan.